George Vernadsky (Russian: Гео́ргий Влади́мирович Верна́дский; August 20, 1887 – June 12, 1973) was a Russian-born American historian and an author of numerous books on Russian history. Born in Saint Petersburg on August 20, 1887, Vernadsky stemmed from a respectable family of the Russian intelligentsia. His father was Vladimir Vernadsky, famous Russian geologist. 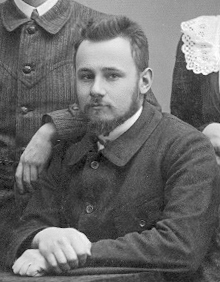 He entered the Moscow University (where his father was professor) in 1905 but, due to the disturbances of the First Russian Revolution, had to spend the next two years in Germany, at the Albert Ludwigs University of Freiburg and the University of Berlin, where he imbibed the doctrines of Heinrich Rickert. Back in Russia, Vernadsky resumed his course at the Moscow University, graduating with honors in 1910. His instructors included the historians Vasily Klyuchevsky and Robert Vipper. The young scholar declined to continue his career in the university after the 1910 Kasso affair and moved to Saint Petersburg University, where he taught for the next seven years, during which he was awarded the Master's degree for his dissertation on the effects of Freemasonry on the Russian Enlightenment. Politically close to the kadet party (of which his father was one of the leaders), Vernadsky began his career as a supporter of liberal ideas, authoring the biographies of Nikolai Novikov and Pavel Milyukov. During the years of the Russian Civil War (1917–1920), he lectured for a year in Perm. He then taught in Kiev and then followed the White Army to Simferopol, where he taught at the local university for two years. After the fall of Crimea to the Bolsheviks in 1920, Vernadsky left his native country for Constantinople, moving to Athens later that year. At the suggestion of Nikodim Kondakov, he settled in Prague, teaching there from 1921 until 1925 at the Russian School of Law. There, in association with Nikolai Trubetzkoy and P.N. Savitsky, he participated in formulating the Eurasian Theory of Russian history. After Kondakov's death, Vernadsky was in charge of the Kondakov Seminar, which disseminated his view of Russian culture as the synthesis of Slavonic, Byzantine, and nomadic influences. In 1927, Michael Rostovtzeff and Frank A. Golder offered Vernadsky a position at Yale University in the United States. At Yale, he first served as a research associate in history (1927–1946), and then became a full professor of Russian history in 1946. He served in that position until his retirement in 1956. He died in New Haven on June 12, 1973. Vernadsky's first book in English was a widely read textbook on Russian history, first published in 1929 and republished six times during his lifetime. It was translated to numerous languages, including Hebrew and Japanese. In 1943, he embarked on his magnum opus, A History of Russia, of which six volumes were eventually published, despite the death of his co-author, Professor Michael Karpovich, in 1959. Vernadsky took a novel approach to Russian history, presenting it as a continuous succession of empires, starting from the Scythian, Sarmatian, Hunnic, and Gothic; Vernadsky attempted to determine the laws of their expansion and collapse. His views emphasized the importance of Eurasian nomadic cultures for the cultural and economic progress of Russia, thus anticipating some of the ideas advanced by Lev Gumilev. Vernadsky became the leading American exponent of depicting Russia as much Asian and European, if not more so. He pointed out many strong cultural differences between Russia and Europe, and praised the success of Russian development along an independent path that revealed his own unique character. Vernadsky was a geographical determinist like his Yale colleague Ellsworth Huntington. They assumed that the characteristics of a land defined the character of the people and indeed of their government as well. For that reason Vernadsky was able to identify the roots of Russian culture in an ancient period long before the Slavic groups arrived. He thereby undercut the standard claim that modern Russia emerged from Kievan Rus. He emphasized the importance of the Mongol period (1238–1471), as the horde united the vast Eurasian plain under a single ruler. This gave tsarist Russia a strong centralized government as well as the deep distrust of Europe. Vernadsky was annoyed that Peter the Great tried to Westernize Russia, thereby distorting its natural character. He said Peter only succeeded in polarizing Russia into a Western oriented elite that stood in profound conflict with the Eurasian peasants. Indeed, Vernadsky argued that this polarization was one of the main weaknesses of the tsarist regime, making it incapable of dealing with the revolutionary movements of the early twentieth century. He celebrated the collapse of the European style parliamentary regime in the October Revolution of 1917 that brought the Bolsheviks to power. Vernadsky was not a liberal, nor was he a Communist sympathizer, but he did admire the Bolsheviks for rebuilding a strong Russia on non-European lines. Most serious criticism of the book seems justified by the discussion of the Soviet period. Professor Vernadsky is a Russian refugee and has not been able to throw off an anti-Bolshevik bias. For example, in discussing the Five Year Plan he says, "In some branches the quality of manufactured products fell below that of output before the war by 30, 40 or even 50 per cent". This is obviously a guess: quality of such various goods as are produced in Russia cannot be reduced to a percentage. In his whole discussion of the Five Year Plan he does not take sufficient account of the labor and capital invested for future production, and in citing Five Year Plan statistics he does not state which Five Year Plan he refers to. Moreover, he compares the figures issued at the end of the first year fifth those of the preceding year when a better picture would have been given if he had compared them with an index number. The last paragraph of the book seems questionable to the reviewer: "At the outset of the year 1930, the New Economic Policy could be considered completely abrogated. There had begun a new experiment in militant communism." (1973) Kievan Russia (Yale Press) ISBN 0-300-01647-6. ^ a b c d e f Ferguson, Alan D. (1973). "George Vernadsky, 1887–1973". Russian Review. 32 (4): 456–458. JSTOR 127611. Wikimedia Commons has media related to George Vernadsky. Imperial Moscow University: 1755–1917: encyclopedic dictionary. Moscow: Russian political encyclopedia (ROSSPEN). A. Andreev, D. Tsygankov. 2010. pp. 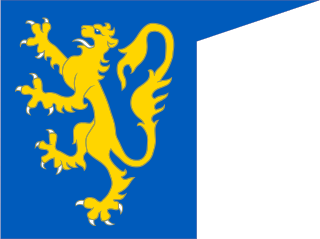 122–123. ISBN 978-5-8243-1429-8. Vladimir Ivanovich Vernadsky was a Russian, Ukrainian, and Soviet mineralogist and geochemist who is considered one of the founders of geochemistry, biogeochemistry, and radiogeology, and was a founder of the Ukrainian Academy of Sciences. He is most noted for his 1926 book The Biosphere in which he inadvertently worked to popularize Eduard Suess' 1885 term biosphere, by hypothesizing that life is the geological force that shapes the earth. In 1943 he was awarded the Stalin Prize. Sviatopolk II Iziaslavich was supreme ruler of the Kievan Rus for 20 years, from 1093 to 1113. He was not a popular prince, and his reign was marked by incessant rivalry with his cousin Vladimir Monomakh. Omeljan Pritsak was the first Mykhailo Hrushevsky Professor of Ukrainian History at Harvard University and the founder and first director (1973–1989) of the Harvard Ukrainian Research Institute. Eurasianism is a political movement in Russia, formerly within the primarily Russian émigré community, that posits that Russian civilisation does not belong in the "European" or "Asian" categories but instead to the geopolitical concept of Eurasia. Originally developing in the 1920s, the movement was supportive of the Bolshevik Revolution but not its stated goals of enacting communism, seeing the Soviet Union as a stepping stone on the path to creating a new national identity that would reflect the unique character of Russia's geopolitical position. The movement saw a minor resurgence after the collapse of the Soviet Union at the end of the 20th century, and is mirrored by Turanism in Turkic and Uralic nations. Dominic Lieven is a research professor at Cambridge University and a Fellow of the British Academy and of Trinity College, Cambridge.